Home › Blog › Consumption › Cannabinoid Science 101: What is Cannabicyclol (CBL)? Science Cannabicyclol (CBL) is a little-studied phytocannabinoid that occurs naturally in the cannabis plant. Very little is known about CBL or its potential in medicine. 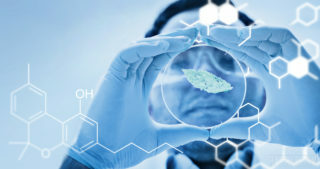 Most existing research into CBL has focused on the structure and biosynthesis of the molecule itself, and the few studies that have looked into its use in specific medical applications have not yielded promising results. CBL has the molecular formula C₂₁H₃₀O₂, identical to many other cannabinoids including THC, CBD, CBC and CBG. However, all these molecules differ slightly in the arrangement of their atoms, giving them significantly different effects. CBL itself differs from THC in that it contains no double bond within its molecule. The position of the double bond in the various isomers of THC determines how psychoactive the isomer is (Δ⁹-THC is the most psychoactive). Lacking a double bond entirely, CBL is not considered to have psychoactive potential, and it is not known if it has affinity with the cannabinoid receptors. 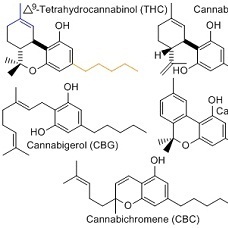 CBL is known to occur as a degradation product of cannabichromene (CBC). CBL has been found in samples of Pakistani hashish stored for six months to four years; all samples that contained CBL also contained CBC in higher concentrations. However, levels of both CBC and CBL were very low compared to the major constituents, THC, CBD and CBN. CBL has also been found in an ancient sample of cannabis discovered in a Chinese tomb and dated to approximately 2700 BCE. In this sample, CBN and CBL were respectively the two largest fractions; CBD levels were much lower and THC was undetectable (although the presence of CBN and other metabolites indicates it was once high in THC). 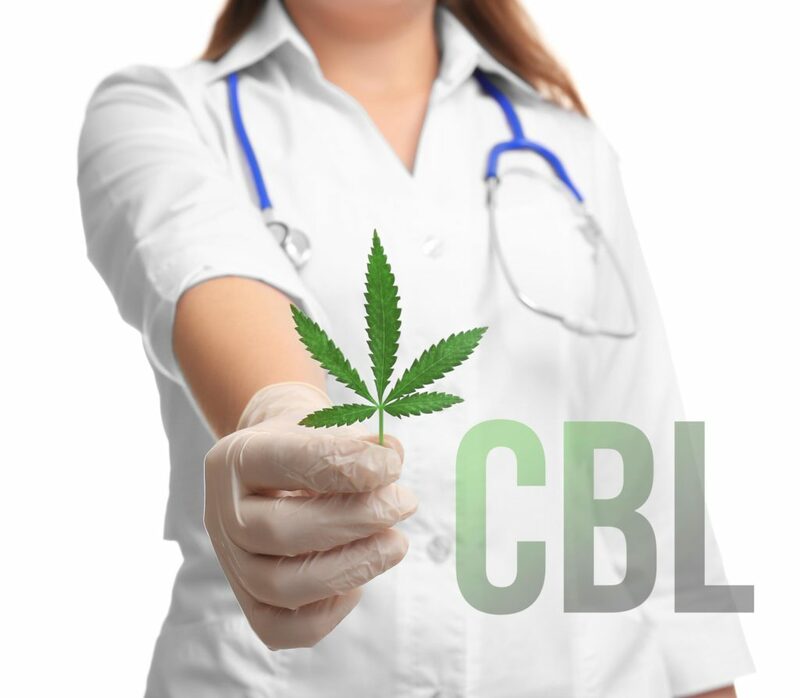 Very little is known about the medical potential of CBL. 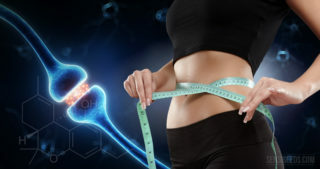 It has been investigated along with several other cannabinoids for its potential to inhibit production of prostaglandins (hormones that control smooth muscle contractions), but it was found to have the lowest biological activity of all tested compounds. In one study on rabbits published in 1976, it was found that administration of CBL caused no effects at 1mg/kg, but caused convulsions and death when administered at 8mg/kg. However, CBL was only administered to two rabbits, and this effect was only seen in one! Thus, it is clear that more research into CBL is necessary. I just tried it on this post and it does for me? Can you let me know exactly what happened and I'll pass it on to our IT folks. 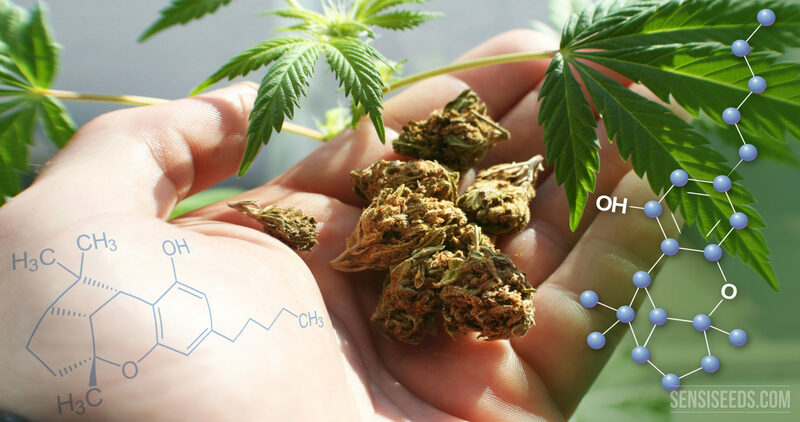 Cannabidiol (CBD) is one of the better-known and intensively studied phytocannabinoids. Acting as a mediator for the effects of THC, it is widely considered to be non-psychoactive in nature. However, research has indicated that CBD has a sedative effect, which may partly explain why strains high in CBD are known for their “stoned” effect rather than their “high”. Cannabigerol (CBG) is a phytocannabinoid—i.e. one that occurs naturally in plants, as opposed to produced within the body (known as endocannabinoids) or synthesised. CBG is found in higher concentrations in hemp strains, and is usually present in relatively low levels in drug cannabis varieties. 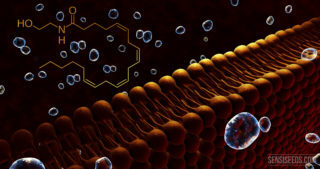 Cannabinoid Science 101: What is Anandamide? Anandamide is also known as N-arachidonoylethanolamine or AEA, and is an endogenous analogue of tetrahydrocannabinol, or THC. 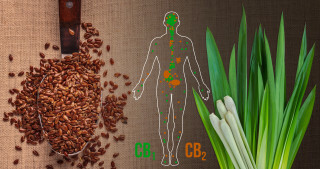 Anandamide has an effect on both the CB1 and CB2 receptors; with the CB1 receptors more affected in the central nervous system and the CB2 receptors more affected in the periphery. Did you know that other plants produce cannabinoids too? 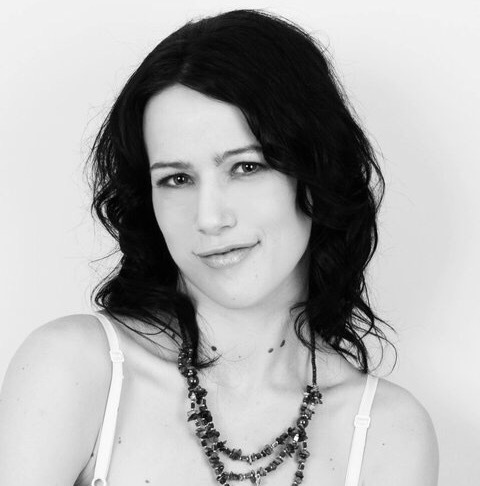 For years, it was thought that cannabis was the only plant capable of producing cannabinoids. However, in the last few years research has been published that shows that cannabis is not the only plant that produces these compounds, and that they are actually quite common!